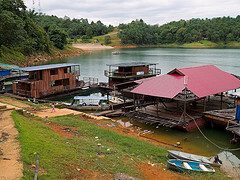 The largest man-made lake in south east Asia Tasik Kenyir (Kenyir Lake) is located in the inerior of Terengganu and spans 260,000 hectares. It borders Kelantan in the west and Pahang in the south. 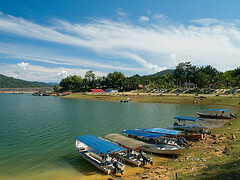 This huge lake also serves as an alternative route to the National Park for the adventurous. 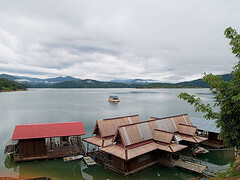 The construction of the Sultan Mahmud Hydroelectric Power Plant submerged everything in the area-trees, hill tops and highlands. Some 340 islands, 14 waterfalls and numerous rapids were created. 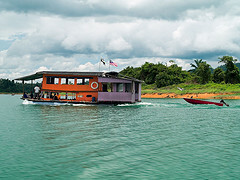 It is home to a large variety of flora and fauna, many species of freshwater fish and exotic wildlife. 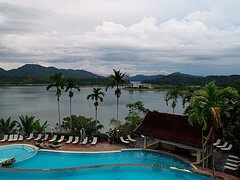 Its lush tropical rainforest, remains untouched and is a perfect paradise for activities such as jungle trekking, obstacle courses, wild-life observation, kayaking and fishing. 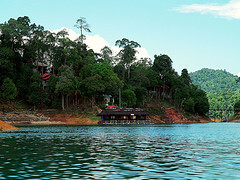 The world’s oldest tropical rainforest (130 million years) is in Tanjong Mentong National Park, Tasik Kenyir. 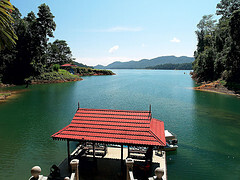 Tanjong Mentong is a new gateway to the National Park.